Adapted from L. Frank Baum’s timeless children’s tale about a Kansas girl’s journey over the rainbow, The Wizard of Oz opened at Grauman’s Chinese Theater on August 15, 1939. The film was directed by Victor Fleming (who that same year directed Gone With the Wind), produced by Mervyn LeRoy, and scored by Herbert Stothart, with music and lyrics by Harold Arlen and E.Y. Harburg. DOROTHY™ was portrayed by a 4'11" sixteen-year-old girl who quickly earned her reputation as “the world’s greatest entertainer”—the incomparable Judy Garland. Ray Bolger appeared as the SCARECROW™; Bert Lahr as the COWARDLY LION™, Jack Haley as the TIN MAN™. Frank Morgan was seen in six different roles, including that of the wonderful “Wizard of Oz" himself. 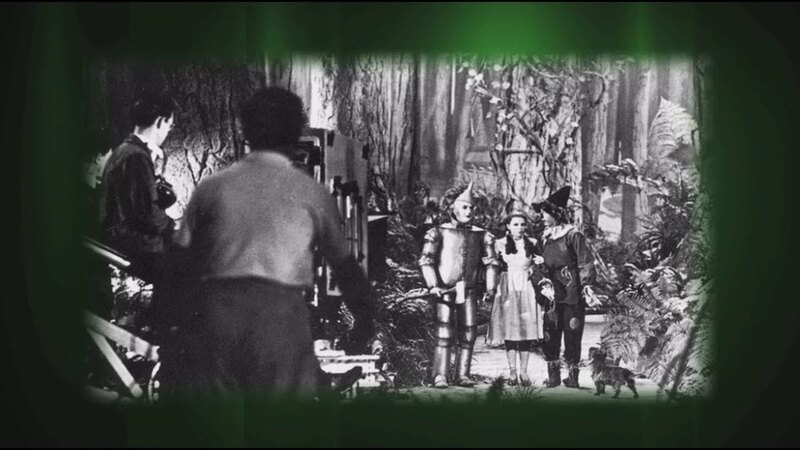 The Wizard of Oz received five Academy Award® nominations , including Best Picture (Outstanding Production), and captured two Oscars®—Best Song (“Over the Rainbow”) and Best Original Score -- plus a special award for Outstanding Juvenile Performance by Judy Garland. The film was an overwhelmingly popular and critical success upon its initial release and repeated its ability to captivate audiences when M-G-M reissued the film in 1949 and 1955. The film made a new kind of history with its network television premiere in 1956 on CBS. Nearly 45 million people tuned in for this initial telecast, marking the beginning of an annual tradition. 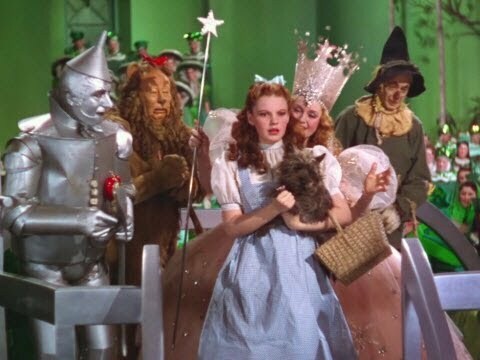 Ever since, The Wizard of Oz has been shown virtually annually on network (and then cable) television; its magical story and heartfelt performances have enabled it to grow from a perennial classic to its current status as a treasured icon of popular culture. The IMAX release The Wizard of Oz will be digitally re-mastered into the image and sound quality of An IMAX 3D Experience® with proprietary IMAX DMR® (Digital Re-mastering) technology. The crystal-clear images, coupled with IMAX's customized theatre geometry and powerful digital audio, create a unique environment that will make audiences feel as if they are in the movie.